“A strong presence on the Northern circuit. He is recognised for his handling of complex financial crime and commercial fraud cases, such as alleged tax frauds. “Superb in terms of both his preparation and his courtroom delivery. A top man for big fraud cases. In the eyes of many he is the best.” (Chambers and Partners, 2012). 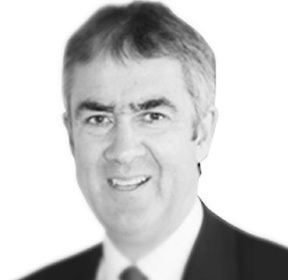 He has long been established as a specialist in commercial fraud defence and corporate crime with a reputation as someone who is “exceptional at client management” and “brilliantly focussed on getting the best out of the client” (Chambers and Partners). More recently, whilst he continues to defend in substantial commercial fraud prosecutions, he has widened his practice to embrace civil fraud and is now regularly instructed in the VAT and Duties Tribunal, both First and Upper Tiers, High Court (Chancery and Companies Court), Administrative Court and Court of Appeal, both criminal and civil. He has a wealth of experience in defending in the criminal courts in tax and duty fraud (R v Anwar 2003, R v Baig 2004/05, R v Sandhu 2007, R v Raykanda and Others 2006, and Rv Allad and Others). In the Tribunal, he is instructed on behalf of traders appealing against decisions of HMRC to withhold the repayment of VAT on grounds of the trader’s participation in fraud. In February 2010, he represented the lead appellant in the conjoined appeals of Mobilx, Calltel Opto and Blue Sphere Global before the Court of Appeal. This was the first opportunity for the Court of Appeal to consider the legality of the “Kittel” test and the proper approach of the FTT to its application in domestic law. Since Mobilx, he has appeared in a number of appeals before the FTT and others are to be heard in 2013/14. In July 2010, he represented the Directors of the bonded warehouse Abbey Forwarding Limited, who were sued for damages by the Liquidator (put in place by HMRC) for breach of duty, being their involvement in excise duty fraud. He also appeared on behalf of Rochdale Drinks Distribution before the Companies Court (Floyd J.) in March 2011 successfully overturning HMRC’s ex parte application to appoint a provisional liquidator on the ground that the company had been engaged in duty evasion. This decision was appealed by HMRC in September 2011 where RDDL were able to resist. HMRC’s argument that there should be a lower threshold of proof in cases where HMRC sought a PL having presented a winding up petition on assessments raised on suspicion of fraud. During 2010/2011, he was engaged on behalf of the Directors of Eastenders PLC in challenges to restraint and management receivership orders obtained by the CPS on grounds of suspected excise duty fraud. In January, the Court of Appeal quashed orders made by the Central Criminal Court in December 2010, and in February 2011 on a renewed application, the Directors achieved a similar result. He has conducted associated challenges to search warrants obtained by HMRC for the premises of Eastenders and other parties, before the Divisional Court in April, May and June 2011 as well as similar challenges to the legality of search warrants in the conjoined applications of Glenn & Co., Medway Soft Drinks and Dale Wholesale. In addition to his work in both criminal and civil fraud, he has experience in professional discipline work, both at Tribunal Statutory Committee and Higher Court level in the Administrative Court and Court of Appeal; representing Police Officers, Pharmacists and Solicitors. "A very talented and clever individual, who is remarkable on his feet." "A strong presence on the Northern circuit. He is recognised for his handling of complex financial crime and commercial fraud cases, such as alleged tax frauds. Strengths: "Excellent paperwork, very pragmatic and a common-sense approach. He presents in a clear and concise manner." "A superb advocate and tactician. Diligent and hard-working." Recent work: Acted for the defendant in R v Arif Patel, a highly complex case involving aspects of charity fraud, missing trader fraud and commercial fraud." "Excellent with clients and a formidable advocate." "Has an excellent reputation in London and Manchester, and is particularly active in the defence of tax charges brought by HMRC. "Phenomenal on his feet," "he works very hard and is very tenacious." "Has an excellent reputation in Manchester and London for handling serious fraud cases. Instructing solicitors prize his tenacity and courtroom delivery. "He Quickly gets to the heart of issues" "He is an excellent cross-examiner." "Superb" in terms of both his preparation and his courtroom delivery. a "top man for big fraud cases," in the eyes of many he is the best." "First choice for any serious complex fraud."